During Prohibition in 1920s Galveston, the Island was called the "Free State of Galveston" due to its lax laws and laissez faire attitude toward gambling, girls and bootlegging. Young society reporter Jasmine (Jazz) Cross longs to cover hard news, but she's stuck between two clashing cultures: the world of gossip and glamour vs. gangsters and gamblers. A flapper at heart, she's worked as a magazine editor/writer, and in advertising and public relations (plus endured a hectic semester as a substitute teacher). She graduated from the University of Texas at Austin with a degree in Magazine Journalism and served on UTmost, the college magazine, and was active in WICI (Women in Communications), acting as president her senior year. Thank you so much for spotlighting Ellen and her books! 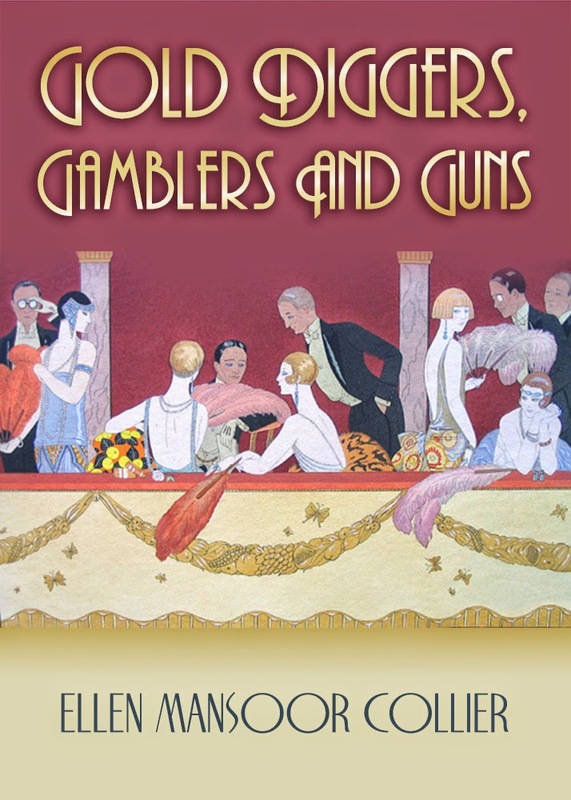 Many thanks for featuring GOLD DIGGERS, the third mystery in my Jazz Age Mystery trilogy! You're very welcome! Thanks so much for sharing your book with my readers. Anytime! I love A Blue Million Books! Good luck w/ your books, too, Tricia!